A plaque is an elegant and durable way to highlight an important event, mark a place of significance or pay tribute to a special person. 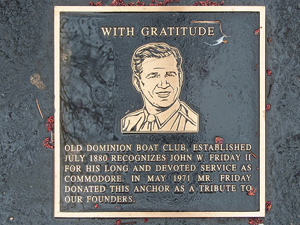 Cast in aluminum or bronze, a plaque will last for generations. Set in wood, it emits natural beauty and warmth. We can help you choose a plaque that says just what you want both in words and appearance. We’ll guide you through selecting the right materials, colors and finish so that what you have in mind is what you will see.